While switching from one Android to another, transferring data from Android to Android becomes the most concerning topic. And from that data, one thing that bothers us is how we can get the existing contacts in this new device. Well! If you‘re able to relate with this, this article is just for you. We will here, provide you some ways that will make you familiar with how to transfer contacts from Android to Android. So, let‘s begin now! The first method for Android to Android transfer of contacts is using Gmail. The following steps will let you learn the process of transfer contacts from old device to Gmail and then migrate them from Gmail to the target Android device. However, you need to be sure of making your contacts synced with the Gmail. Here are the steps to perform. Open ‘Settings‘ firstly and from there, look for the ‘Accounts and Sync‘/ ‘Account‘ tab according to your device. Choose the ‘Add Account‘ option now and pick out Google. Sign in to your Gmail account and proceed to next step. Hit on ‘Sync Now‘ and confirm it. Your contacts will be synced to Gmail now. Now, get your target device and go to ‘Settings‘ > ‘Accounts & Sync‘. Select the same Gmail account and tap on ‘Sync Now‘ option. You will all your contacts in your new device now. Firstly, open ‘Contacts‘ in your source device and tap ‘More‘ from the menu. You may get the option of ‘Manage Contacts‘. Tap on it and then choose ‘Import/Export‘ option or ‘Export Contacts‘. Choose ‘Export to SIM card‘ now and remove the SIM from this phone. Take the new or target phone and insert the SIM in it. Go to ‘Contacts‘ again and tap ‘More‘ > ‘Manage Contacts‘ > ‘Import/Export‘. Lastly, choose ‘Import from SIM Card‘. Now, you could see your contacts in your new device. Begin with opening Contacts app and tap on the ‘Menu‘ or ‘Share‘ icon according to your device. Next, tap on ‘Import/Export‘ > hit the option ‘Share namecard via‘ and select the contacts you want to transfer. After selecting, you will then get the option of ‘Bluetooth‘ there. Tap on it and you‘ll be asked to enable Bluetooth. Enable it on both the devices. Scan for the nearby device i.e. your target phone and tap when you notice the name of the target phone. In your target phone now, tap on ‘Accept‘ and your contacts will be successfully transferred. When the question of “how to transfer data from Android to Android” comes, SHAREit becomes the hot topic. It is the most used way these days and hence it will help you in getting contats to the target device too. Here are the steps to transfer contacts from Android to Android with SHAREit. Before proceeding, please install the app on both the devices. Get the source Android phone and open contacts app. Select the ones you want in your new phone. After selecting, look for the share icon and tap on it. When you tap on it, choose ‘SHAREit‘ and then open SHAREit in the target device. Now, you need to connect the devices. The source device will scan the target device. Tap the name of the target device when you see it. Now, wait for a while and your contacts will be transferred. 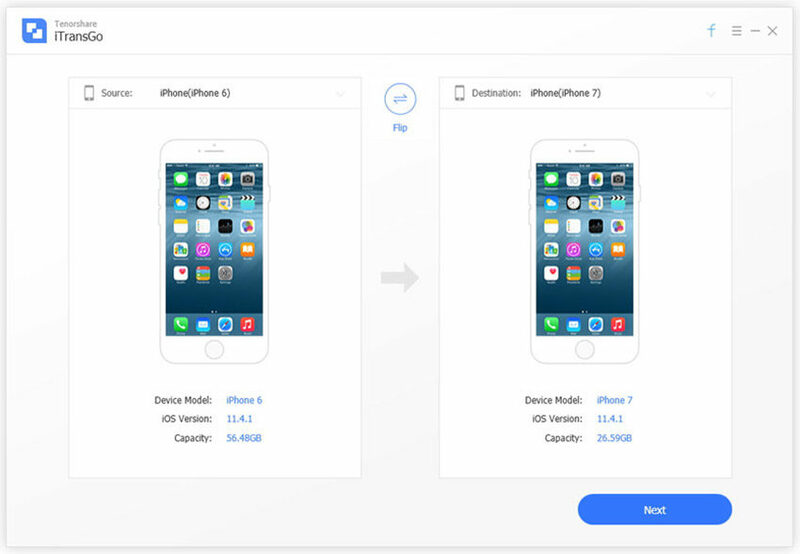 In case you want to transfer your contacts from iPhone to iPhone and you have no idea how to do it, we have a great tool for you. 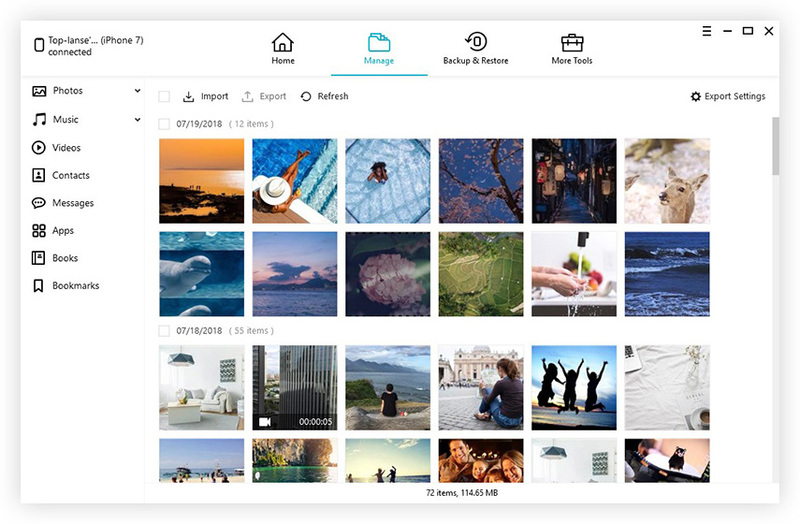 We would like to recommend you Tenorshare iTransGo which is a powerful and professional software designed to transfer data between iOS devices. This tool offers a very intuitive design and one-click operation when it comes to transfer of data. About the performance, it beats any other tool available in the market. It has the ability to support all iOS devices and the latest iOS versions too. You can avail its free trial and it can work on Windows and Mac smoothly. Transferring contacts from Android to Android has become easy with the increasing technology. We made you aware with some easy ways for the same and hope you like those. Now, don‘t wait and start transferring contacts between Android devices.